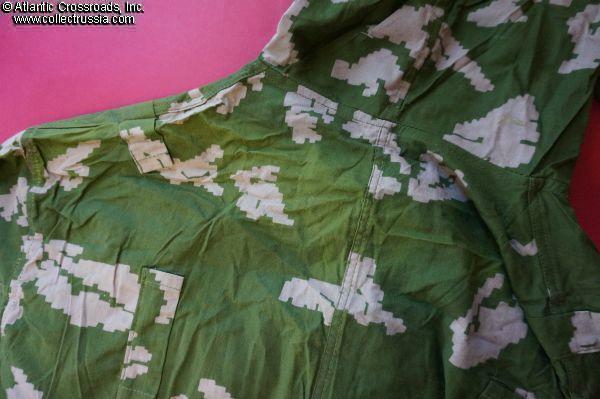 KLMK "Computer Pattern" Camouflage One-piece Coveralls, dated 1978. 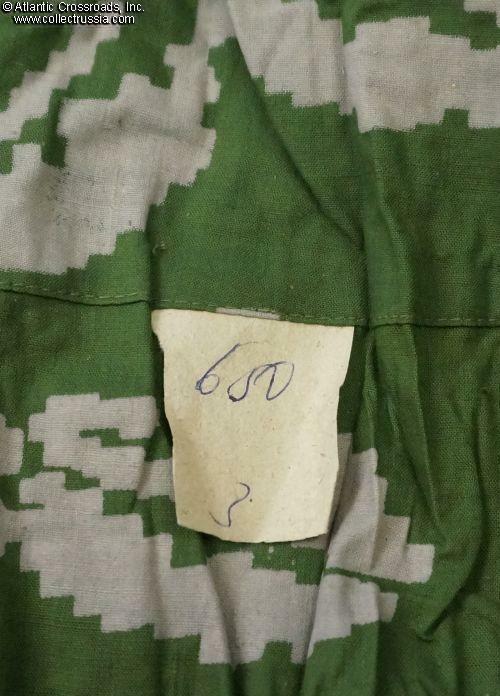 In light weight cotton of "Computer Pattern" camouflage (Russian designation Beryozka or "little birch"). The non- detachable hood has adjustment string. Note that the hood is much smaller than the later issues of the same coveralls and will not fit over a fur cap or steel helmet. 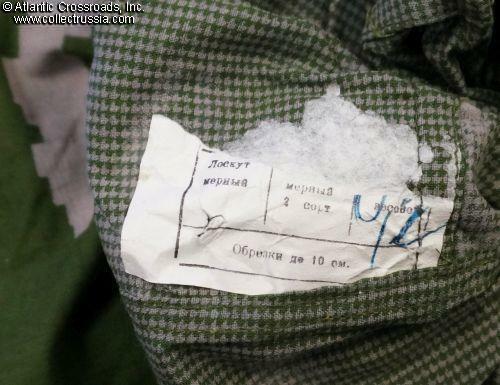 There is a and stamp of the Garment Factory in Kolomna inside the left leg near the ankle which has a clearly legible 1978 date. Additionally, there is a small quality control stamp in the same location. A sewn-in factory inventory paper tag is in the seam of the leg, on the front. Generous cut should fit an athletic 6 foot tall man. 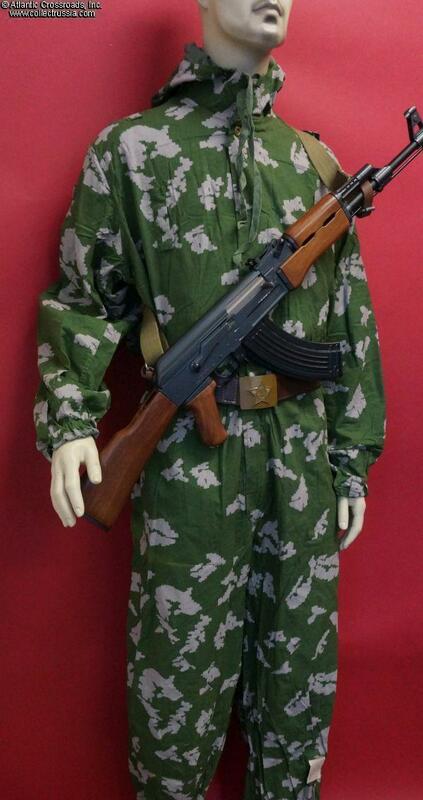 Like some other types of Soviet camo, this uniform was designed to fit over regular field uniform and will accommodate almost any waist size. 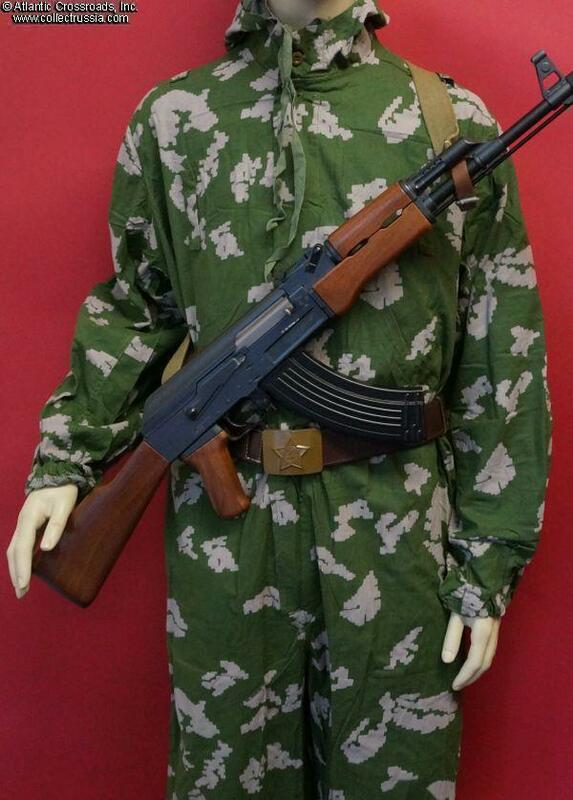 The coveralls are in superb, unissued condition. There are a couple of areas on the back where the green has faded somewhat due to exposure to light during long storage but the faded areas are not very conspicuous. The uniform appears crisp and factory fresh otherwise. The green Moshtamp marked buttons don't show any rust. 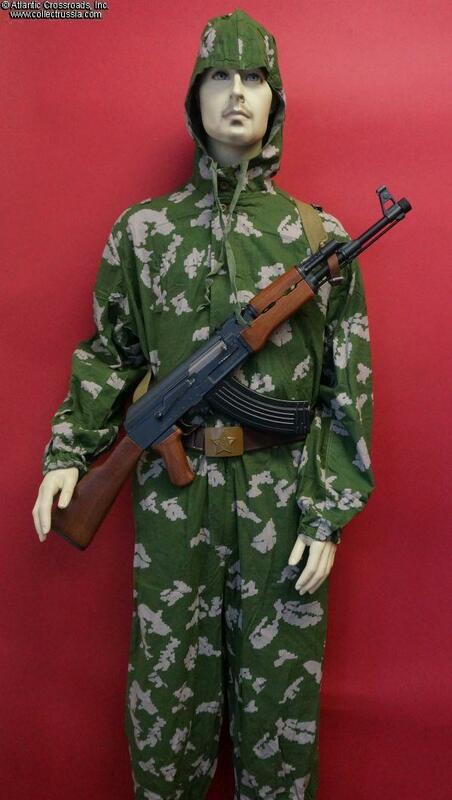 This KLMK one-piece suit had been used extensively in Afghanistan by Soviet Airborne troops, reconnaissance forces and KGB Border Guards. By the mid to late 80s, it had been gradually replaced with the more practical two-piece suit in the same "Beryozka" pattern. 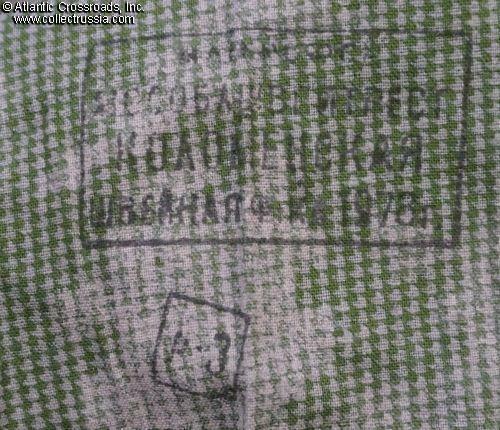 The KLMK coveralls were not designed to have a long service life and as the result, surviving examples are fairly scarce - especially in unissued condition and with such an early date. Note that the mannequin items in our photos are not included but some may be available elsewhere in our catalog. 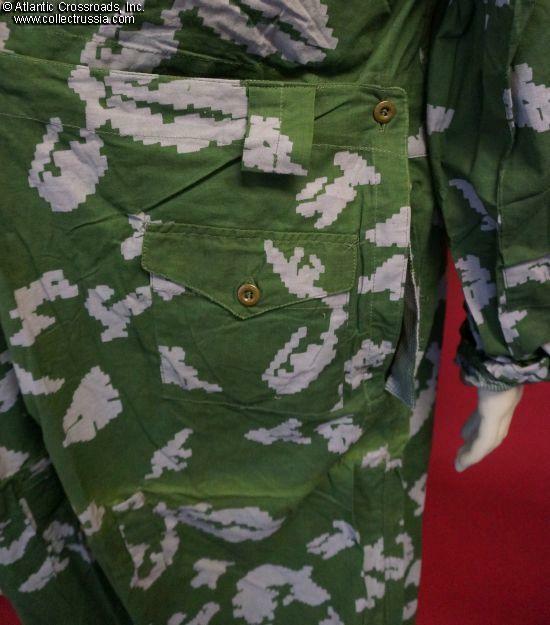 /See "Camouflage Uniforms of the Soviet Union, 1937 to the Present", by Dennis Desmond, page 89/.